Get a death certificate for the deceased person. Visit the official website of the Arkansas Department of Health to see the options available to you if you need a certified copy of the certificate (see Resources). Visit the official website of the Arkansas Judiciary System to obtain the forms you need (see Resources). Download and print the following: Instructions for Completing Civil-Probate Cover Sheet; Civil-Probate Cover Sheet; and Petition for Probate of Will and Appointment of Personal Representative. Download and print two Proof of Will forms if you are filing an attested will with your petition. An attested will is a typed will that was signed by the deceased person and two witnesses. You may not need the proof forms if the will was filed with the probate division for safekeeping prior to the person's death. Visit the clerk's office of the circuit court's probate division to request the forms if you cannot print. List any real estate owned by the decedent and estimate the market value of each property. Add the value together and label the total "Real Property." List personal items owned by the decedent. Estimate a total value for the personal items and name the total "Personal Property." Fill out the Civil-Probate Cover Sheet. Refer to the instructions you printed if you need assistance. 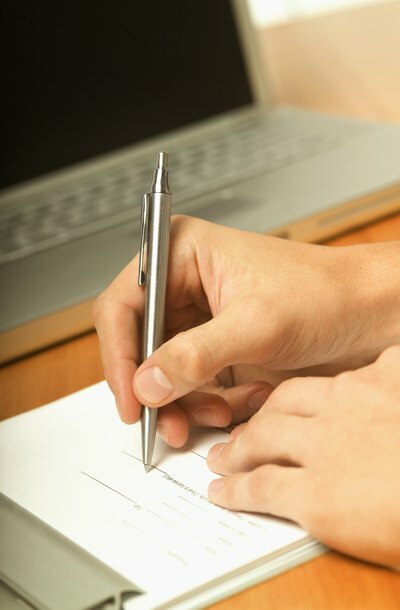 Complete the Petition for Probate of Will and Appointment of Personal Representative. You need the following information: the deceased person's name, address, age and date of death; the date of the will; the full names, addresses and ages of all heirs, the deceased person's spouse, if any, and any beneficiaries under the will; and your Real Property and Personal Property figures. Fill out the executor section and sign the form. Have each witness to the will complete, sign and date a Proof of Will form. The form is an acknowledgment by the witness that he saw the deceased person sign the will, and that the person was of sound mind and not pressured at the time. Visit the clerk's office of the circuit court's probate division. Bring the completed petition, will proof forms, coversheet, death certificate, the will -- if you are filing the will the same day -- your Arkansas identification and a payment method, like a check. File the documents in the court. A filing fee may apply, but the amount varies by area. Comply with all court requests and requirements. Attend any hearings on your petition or those involving the estate.